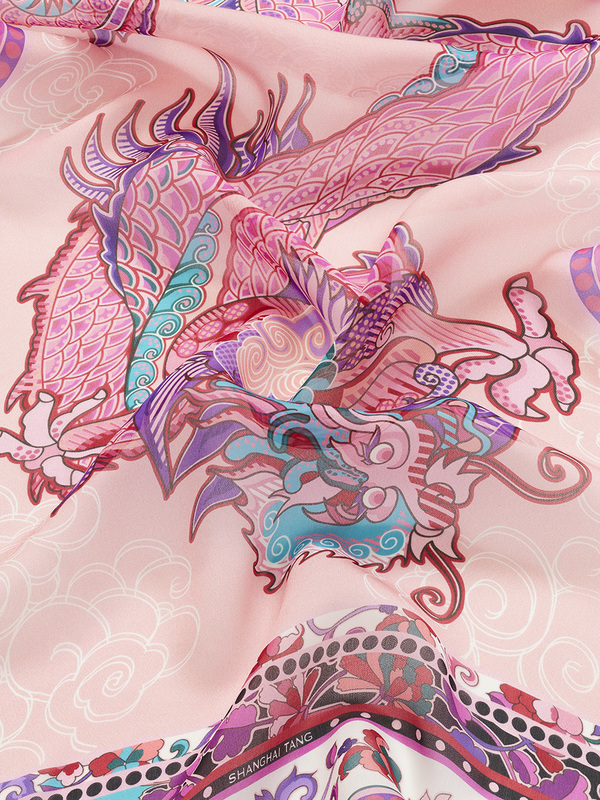 Chinese heritage meets Italian lifestyle in this lightweight silk scarf from Shanghai Tang. 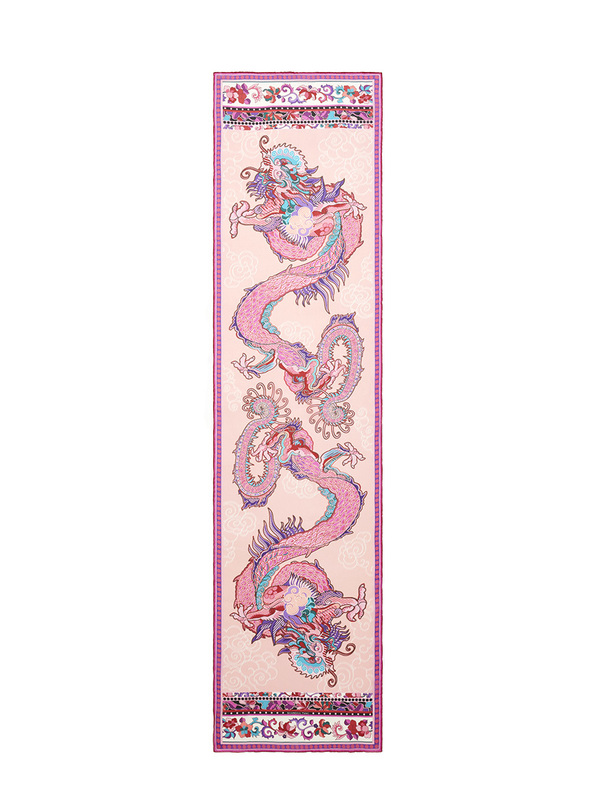 Showing the five-claw dragon, a symbol of power and protection, this scarf was beautifully crafted by Italian masters incorporating symbolic Chinese motifs to link two millennial philosophies. 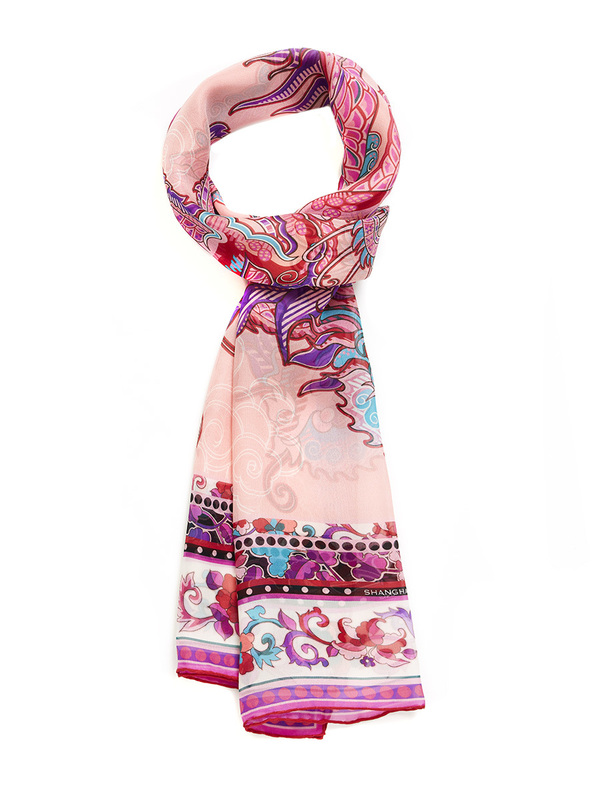 Colours: Black, Pink Size: 45 x 180 cm Made in Italy.